Hygienists play an important role in oral health care. They mainly work on prevention and helping you to prevent disease and maintain a healthy mouth. They can do a lot to help in dental health education and show you the best ways to keep your teeth healthy at home. They work closely with the dentists, and work on the dentists prescription. 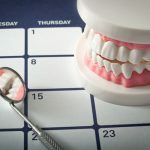 Your hygienist can help you with the best ways to reach awkward areas in your mouth, and demonstrate specific aids to reach these areas to prevent dental problems. The hygienist can scale & polish teeth, can treat gum disease (with or without local anaesthesia) following a treatment plan worked out with the dentist. Not all practices have a hygienist. We are lucky to have Donna and Abby to help you. Cost can be spread out by joining our Dental Careplan. In some situations it is important for cosmetic reasons to have a natural looking tooth and not to be self conscious of restorations on the teeth. Each situation can be discussed with your dentist. In some places a white filling may not be the best practical solution. However, new materials are making white fillings an alternative to silver / amalgam restorations. A crown is made to cover all the tooth and to look like adjacent teeth. It can be made from porcelain, metal, or a combination of these. 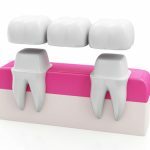 Your dentist can discuss the best crown needed for your situation whether at the front of the mouth or a back molar tooth. They will explain the advantages of different types, the process needed to prepare the tooth and any temporary measures needed. You may need to be numb for a fitting, or have part of a tooth built up first. Each situation is varied and will need a treatment plan. All will involve the need for impressions of the tooth and its opposing tooth prior to being made at a specialist laboratory. Any temporary crown will allow normal chewing but will not have the strength or aesthetics of the permanent crown once it is fitted. If you do not like an individual tooth or the general looks of your teeth, talk to your dentist about the many ways in which we can help you. This may improve your personal confidence. There is a large range of procedures that we can offer. There are many types, from plastic to metal or a mixture of these. They are used to replace missing teeth. They are aesthetic and comfortable. Discuss your needs with your dentist. 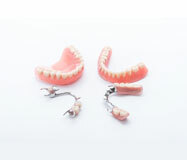 These are used to replace missing teeth rather than using a denture and are made of component crowns. There are many different types. Talk with your dentist about the most suitable for you. 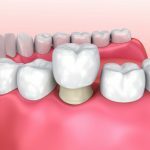 This is a procedure that can be done for an individual tooth or for all teeth. It may be done from inside a single tooth, to the outside of all teeth. 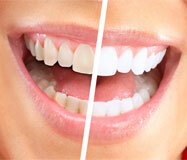 Teeth can change colour for several reasons. It could be trauma, normal aging process or associated with a dietary / smoking habit. Each type can be discussed with the patient to decide on the best process and to use the best materials that cause the fewest side effects to your dentition. 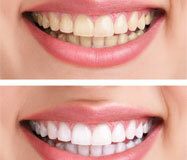 Whitening teeth is kinder than cutting away enamel to place veneers or crowns. Making sure that you use a safe material to bleach your teeth is imperative to ensure that you have no sensitivity issues and look after the gingival (gum) tissues. With demonstrations at the surgery you can treat yourself at home using professionally made trays to fit only your mouth. We are delighted to see very young children to acclimatise then to preventive ways to protect their teeth for life. We will also work with any child to help with dental procedures. We aim to put them at their ease. If orthodontic work is required, this will be discussed. 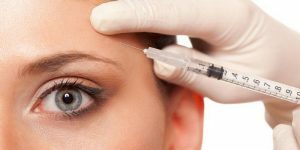 Botulinum Toxin has been used for over 25 years and is a type of purified protein produced by the Clostridium botulinum bacterium. It is very safe and is injected directly into facial muscles in very tiny amounts during treatment. In most cases patients can see a real difference after one treatment. This is because Botulinum Toxin works gradually, smoothing and softening lines and wrinkles for up to 4 months. Every face is unique of course and we will advise you on how many treatments you are likely to need and how often, depending on the results you would like to achieve. It is very rare for treatment with Botulinum Toxin to be painful. Most patients experience a feeling of slight discomfort if at all during the treatment itself but that’s all. Rest assured we will talk you through what to expect before first injection so you will be fully prepared prior to treatment. With Botulinum Toxin injections the worst you will have is a little redness which will subside after a few hours. Just like you we are always moving forward. Millions of people are seeing the possibilities Invisalign innovations open up. Each set of aligners is custom made using state of the art 3D technology, moving your teeth gently and efficiently. The technology digitally maps your entire journey, enabling you to see what your new smile is going to look like before the treatment even begins. Once it has been confirmed you are eligible for treatment, we will take photos, xrays and digital scans or impressions of your teeth. These records will then be used to create a 3D treatment plan just for you. After being custom made you will receive a series of aligners to wear everyday and change at home on average every 1-2 weeks. 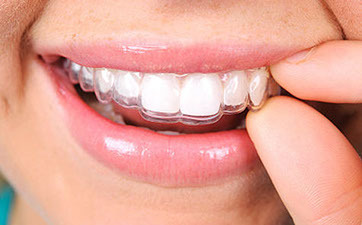 You will then return to the practice every 6-8 weeks to enable us to monitor the progress and receive new aligners. After finishing your treatment plan, retainers will be required to maintain your new smile.